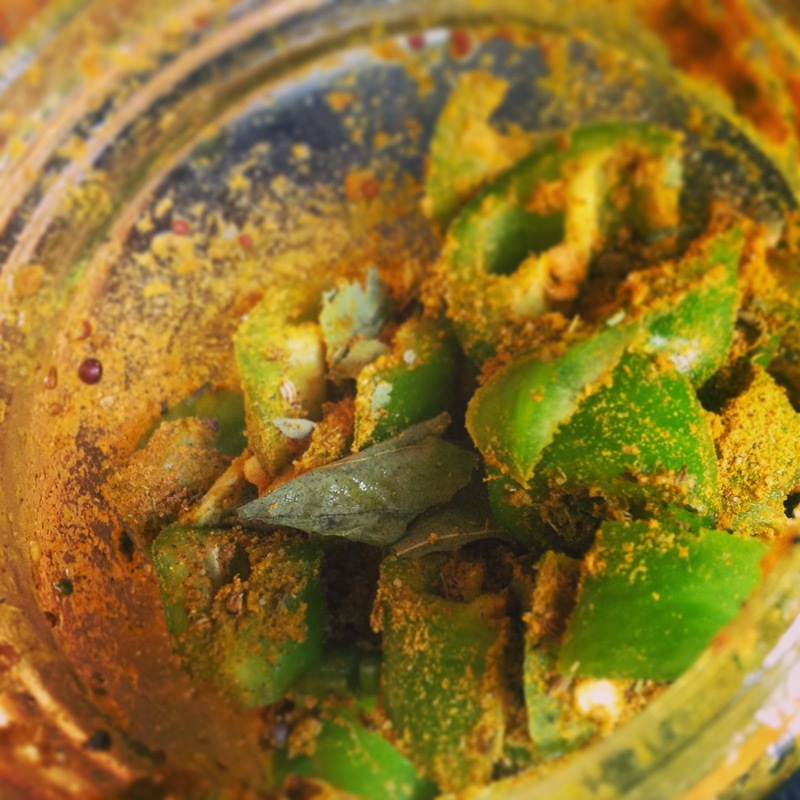 Green Chilli pickle always reminds me of the wonderful pickle my grandmother used to make every year in abundance. Those were the wonderful times.. Although the green chillis we get here can never taste half as good as those in India.. but making the pickle from whatever best was available was not only a choice but also a useful decision for making a preserved thing to be used on busy weekday mornings or days when sometimes I leave earlier than my husband. So here's the pickle recipe which I have been making for months; made about 10-15 batches of these and come out wonderful every time.. Just make sure to keep them completely devoid of moisture: dry place to store, dry hands, dry spoons... otherwise mold will form inside which in turn will make the entire jar go bad.